Rare spirits bottler The Last Drop Distillers has announced its 10th release: a 1971 vintage blended Scotch whisky priced at £3,000 a bottle. All the single malt and grain whiskies used in the blend were distilled in 1971, before undergoing a three-part maturation process. According to The Last Drop, the whisky ‘has all the hallmarks of the 1970s/80s blending style, with a classic, old-fashioned smokiness’. First blended in 1983 as a 12-year-old, the whisky left over after bottling was refilled into 11 ex-oloroso Sherry butts to age for a further nine years, when a small amount was removed for bottling as a 21-year-old blend. The rest of the whisky then went into nine oak barrels and was left in a traditional dunnage warehouse for a further 24 years, before the casks were acquired by The Last Drop towards the end of their maturation period. The blend, which combines more than 40 different single malt and grain whiskies, was bottled at 47.2% abv in June 2017. 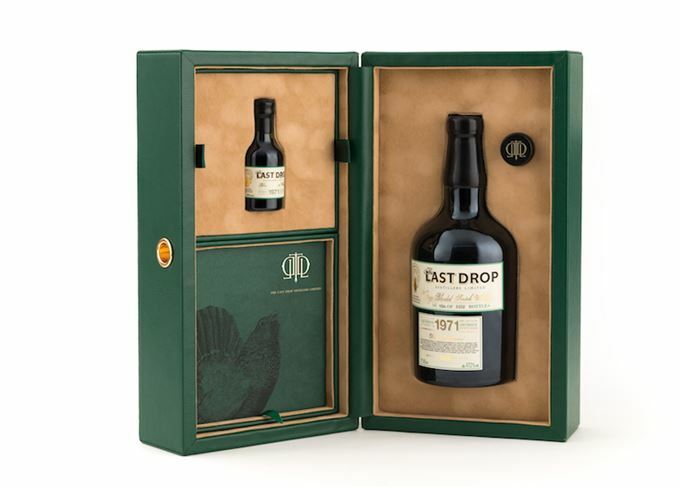 Each bottle is sealed by hand with a driven cork dipped in boiling wax, and comes in a green leather case which also contains a 50ml miniature, a certificate of authenticity, a leather-bound tasting booklet and a stopper to reseal the bottle. Only 1,352 bottles of the 1971 vintage blend are available, and UK stockists can be found on the Last Drop website. 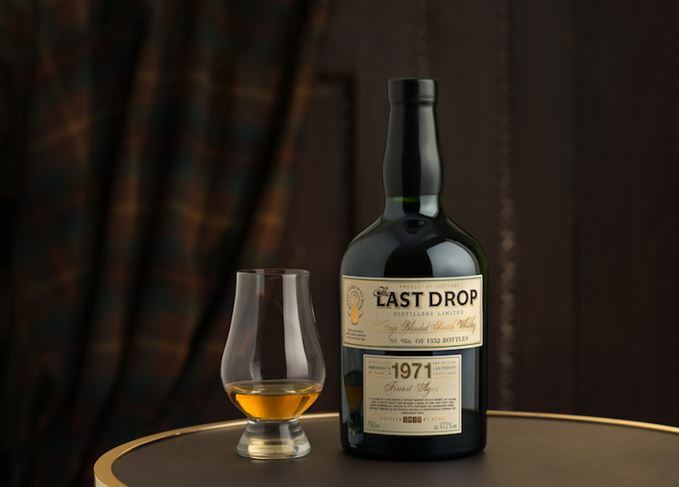 The Last Drop Distillers, founded by drinks industry veterans James Espey and Tom Jago, was acquired by American spirits group Sazerac in September last year.